June 14, 2018 - Media Rooms Inc. 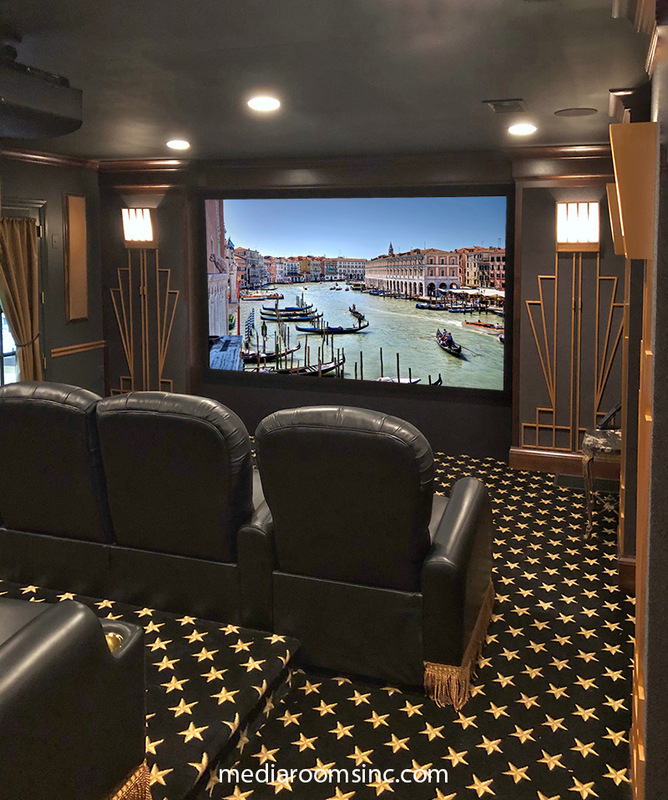 Elegant home theater designed by Rob Dzedzy. The front columns, with a golden wood art deco applique, have fabric wrapped doors which conceal speakers and components. The procenium and columns were fabricated in our in-house cabinet shop. The electronic components were expertly installed and programmed by our A/V dept.